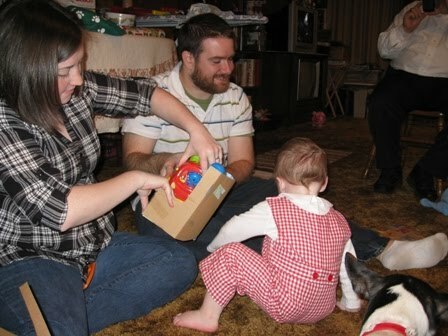 This year, we spent several days in Monroeville right before Christmas. As we are packing everything to go out of town, I typically pile everything on and by our big tan chair so that nothing is left behind. 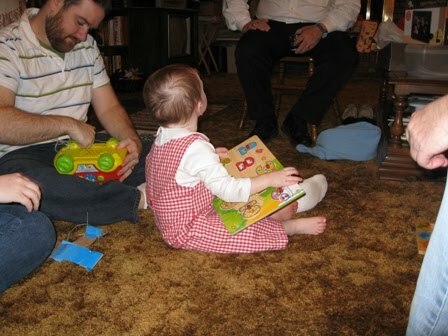 As Chris and I were scurrying around getting the last minute things together, the house grew strangely quiet. 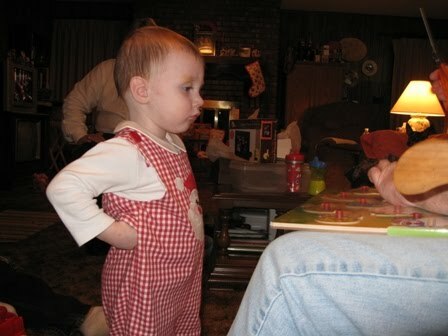 Anyone with a child knows that is NOT a good thing. 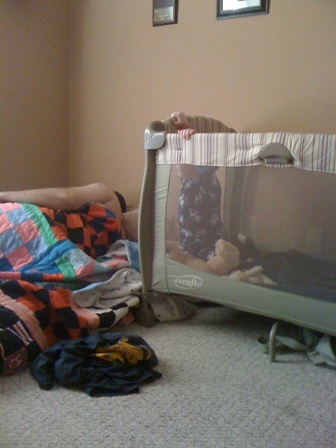 So, I went to check on Lane. This is how we found him! He was apparently ready to go see Nana, Grandpa, and Aunt Sarah! 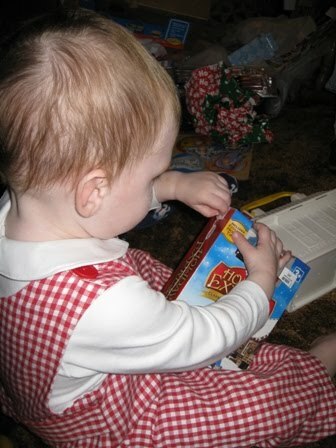 This year, we learned how crazy toy manufacturers make it to open a kids toy!! We always knew it was difficult, but this year it was much more difficult. 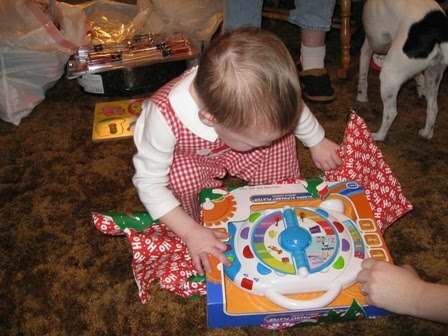 As soon as Lane opened a present, he wanted to play with it! 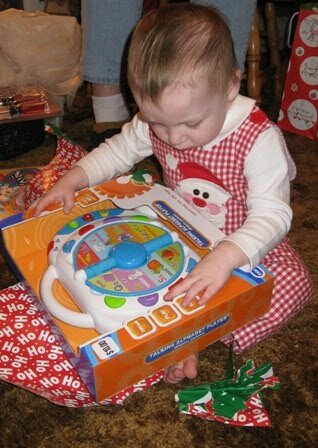 So, momma starts out opening the toy…. Out of the cardboard box, now daddy gets to unwrap all the plastic twist ties from the wheels! Seriously?? 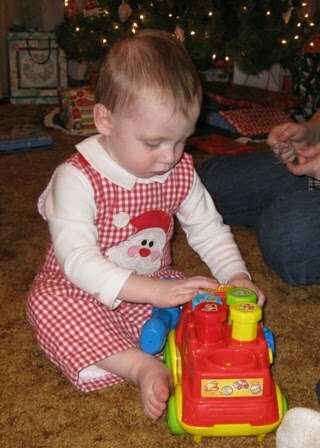 We did manage to get Lane to open another present while we worked to free the truck. The truck is free!!! 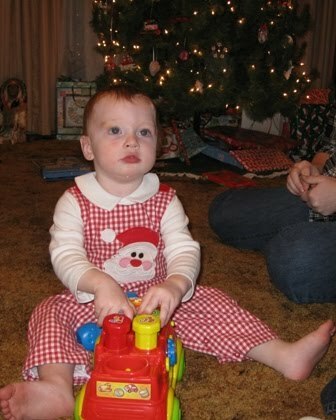 It took a good 30 minutes before Lane would consider opening another present. He was quite happy with his truck! 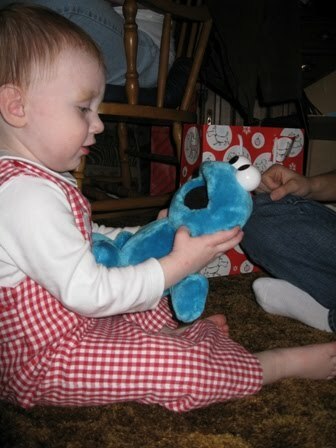 Once we started back opening presents, he loved his cookie monster! Ah the VeggieTale Christmas movie that we still watch multiple times a week. 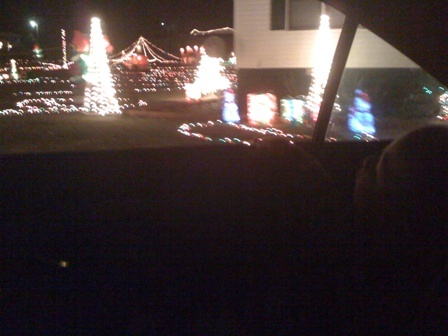 There is nothing like Christmas in April!! He still dances and bounces like the first time he watched this movie! 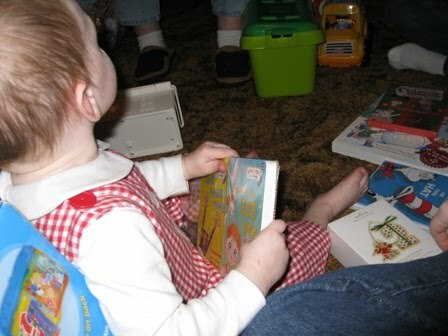 Trying to open more Christmas DVDs. Sitting in the middle of his loot. Such a spoiled boy and LOVING every minute! 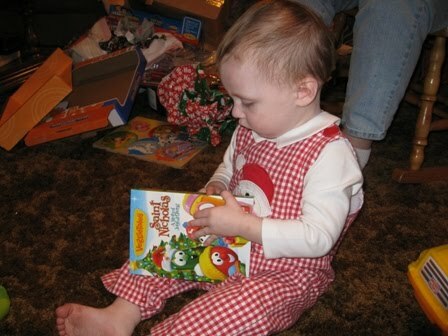 Thanks Nana, Grandpa and Aunt Sarah!! That didn’t work. 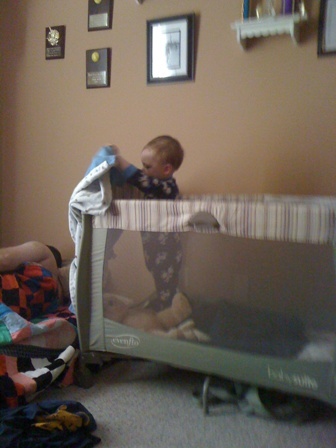 (notice the blanket on the mattress) So, he squatted down and started screaming “Daaaaaaa!” and banging on the side of the pack n’play! That was too much for me. I couldn’t control my laughter, so we got up. I wish I had videotaped this! 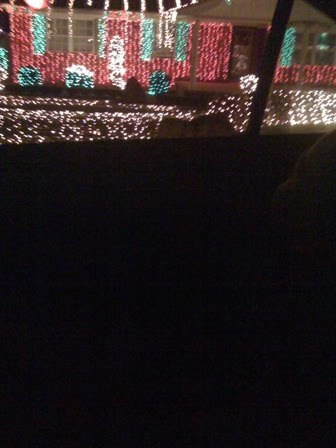 One evening we took Lane to see the Christmas lights. 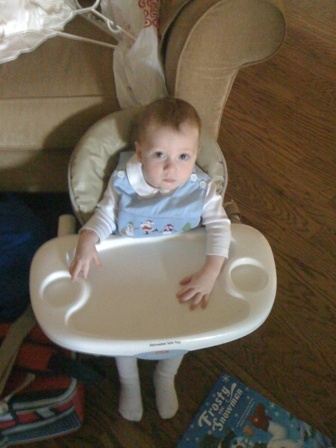 I wasn’t sure how much he would be able to see from his car seat, but he seemed to love it! 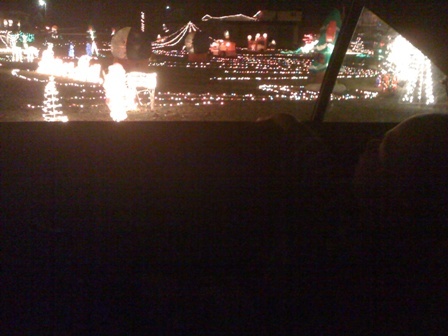 It’s hard to tell, but Lane is pointing at all the lights.